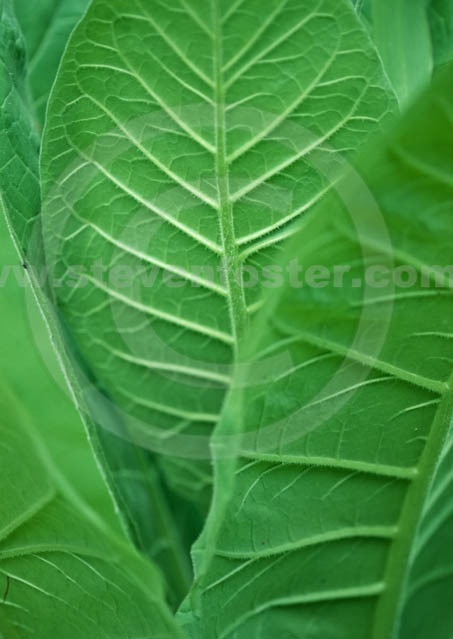 Stock images of Aztec Tobacco; Sacred Tobacco; Shamanic Tobacco; Nicotiana rustica. Photos © 2011 Steven Foster. Please contact us for pricing and terms at sfoster@stevenfoster.com or call +1-479-253-2629. Six images of Nicotiana rustica, Aztec Tobacco, Solanaceae, Nightshade Family. Aztec Tobacco; Sacred Tobacco; Shamanic Tobacco; Nicotiana rustica, is a South American species, which generally contains greater amounts of nicotine and other alkaloids compared with other Nicotiana species. Used as a ritualistic plant by Shamans.